Another signboard that doesn't fade with time. The benefit of having these type of signboard. 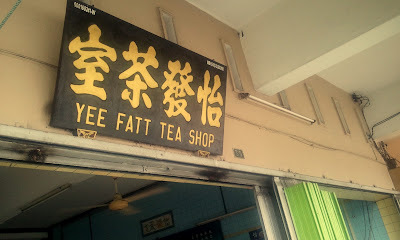 Well, I finally reached Ipoh after 2 stopovers at Bidor and Kampar and for my last breakfast, I chose to eat curry mee at Yee Fatt, my SECOND best, SECOND favorite!!! 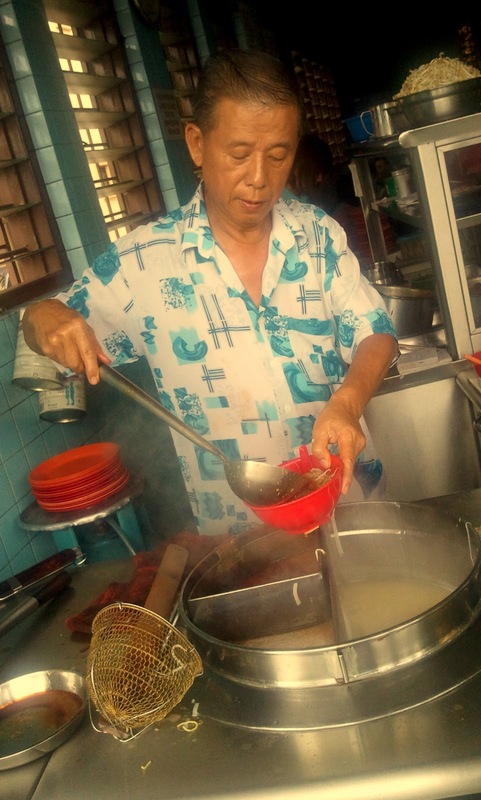 If Penang is famous for their char koay teow, Ipoh is DEFINITELY famous for their CURRY MEE! Do you know there's no 'dry' curry mee in Penang, or at least I don't know any of it? Hehe. Inside the restaurant. 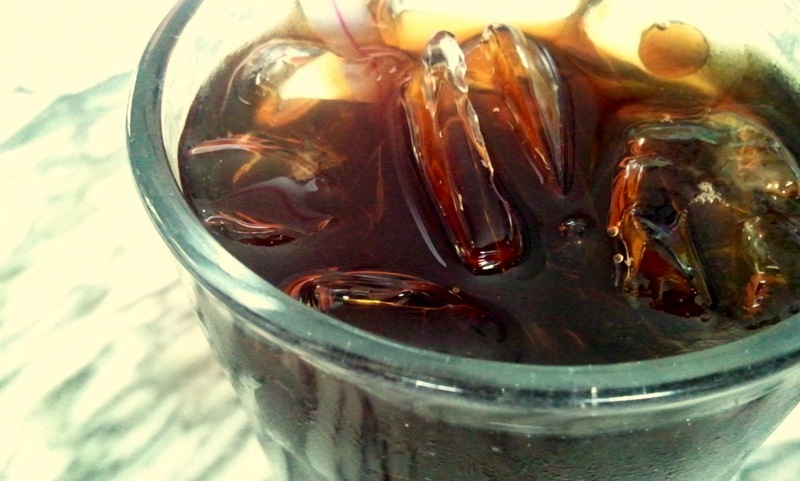 If you don't know what to order, just point to the photo instead, hehe. 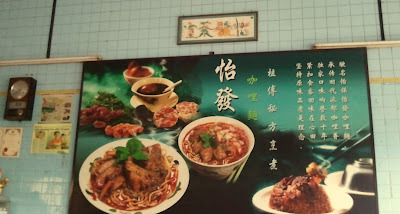 Anyway, my recommendations...must try the dry curry mee, normal curry mee and 'tan cha'/ 'egg-tea' drink, but skip the glutinous chicken rice, so-so only. The restaurant was packed with customers. 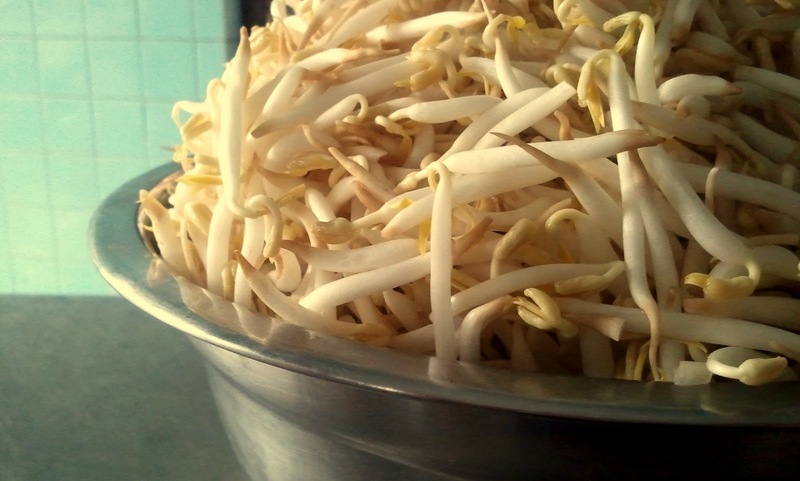 Just taking this photo while idling and waiting for my curry noodles, hehe. My 'tan cha'/ egg-tea drink arrived first. No egg here because I don't want it (already exceeded my egg quota for the week, hehe). Boss No. 1/ Generation 2, manning the noodle station. Boss No 2/ Generation 1 (elder boss), manning the drink and pastry section. 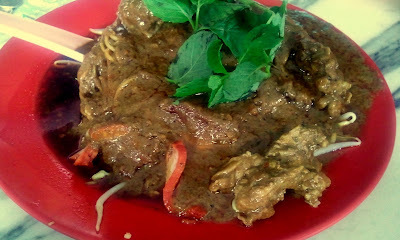 Alright, not to waste anymore time, do go through all the photos taken when I had my curry mee at Yee Fatt, excellent! 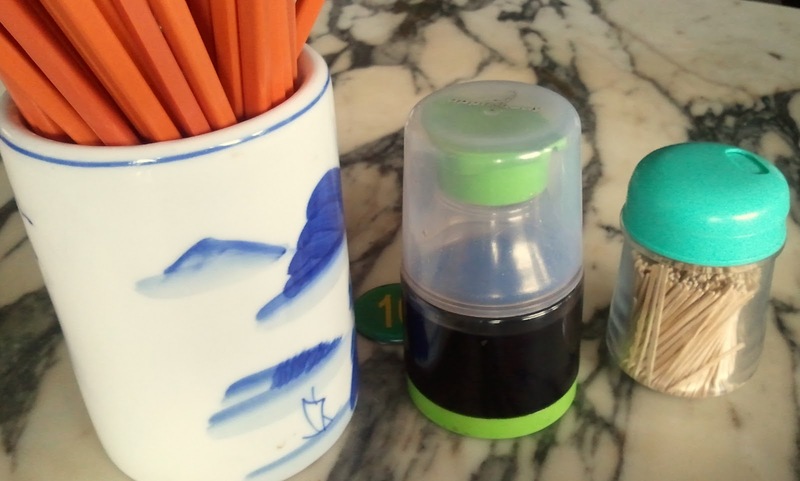 Dry curry sauce, concentrated aroma and long-lasting taste. From the aroma itself you can already 'taste' it already, haha. 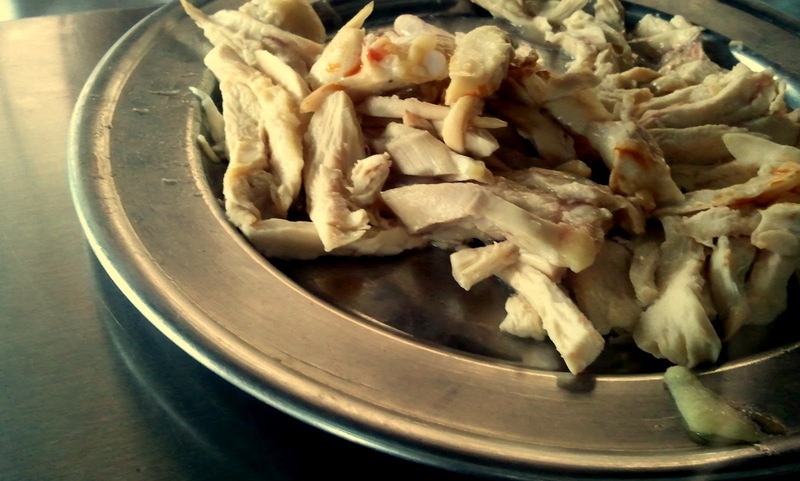 Chicken meat, nicely shredded into many small pieces and easy to eat. 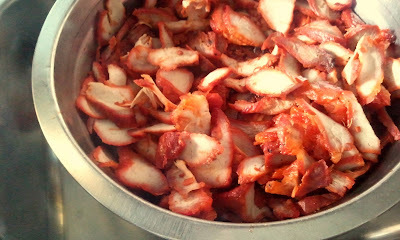 Char siews, yummy! The color was so enticing! Give me boneless meat anytime! Will be a nice companion to the curry sauce but by itself, the taste was minimal. My dry curry mee enveloped with a layer of thick curry sauce! 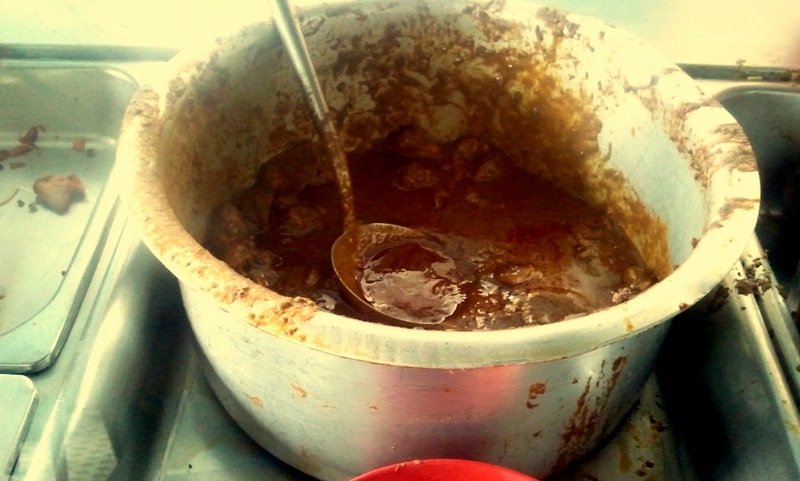 Please remind the boss not to minimize the amount of oil so that your curry noodle won't be too oily. Normal curry noodle, the soup variant. Almost similar in taste but not as strong as the dry curry. Also, please remember to ask for less 'oil' or else it'll end up oily like this photo. 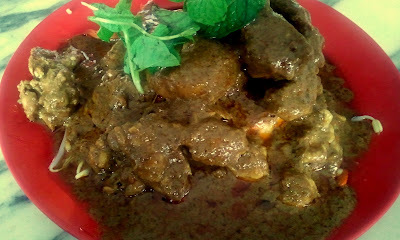 BTW, the oil is mostly from the curry chicken. 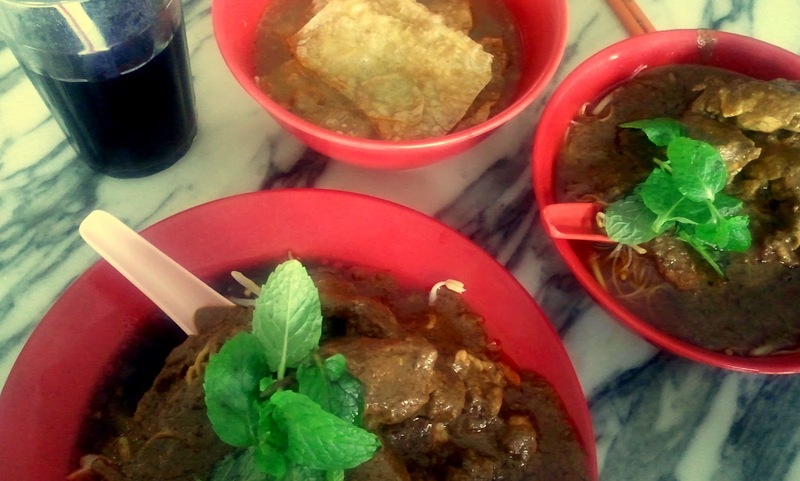 I usually order a plate of dry curry mee and then 2 pieces of 'fu-chuk' in curry soup. By doing so, I get the best of both, dry and soup! 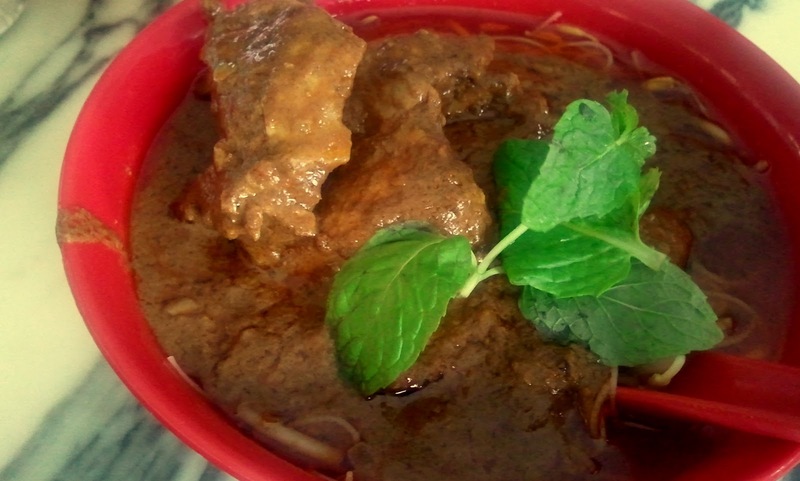 Another closer view of my dry curry mee with chicken, char siew and siew yuk (RM6). 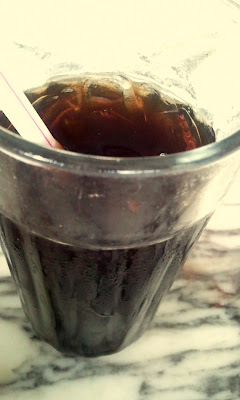 The taste was heavenly delicious and intense but sinfully dangerous to my health, hehe. 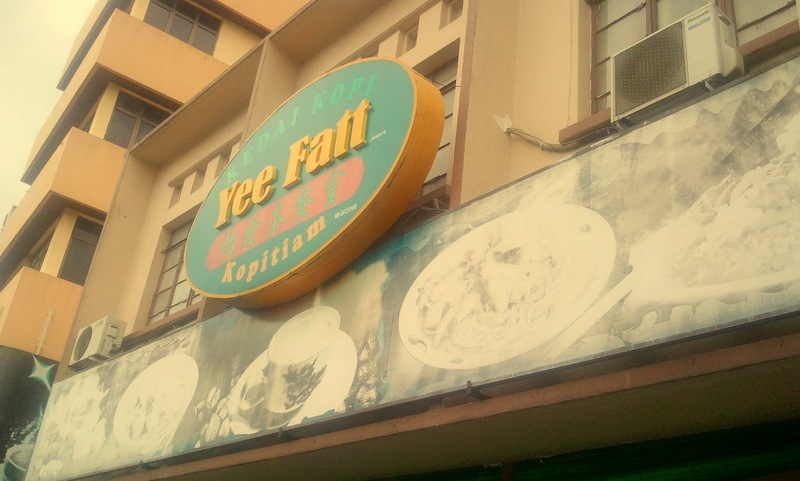 I limit myself from eating here once a month only, hehe. Another close look at my normal curry noodle, yummy! 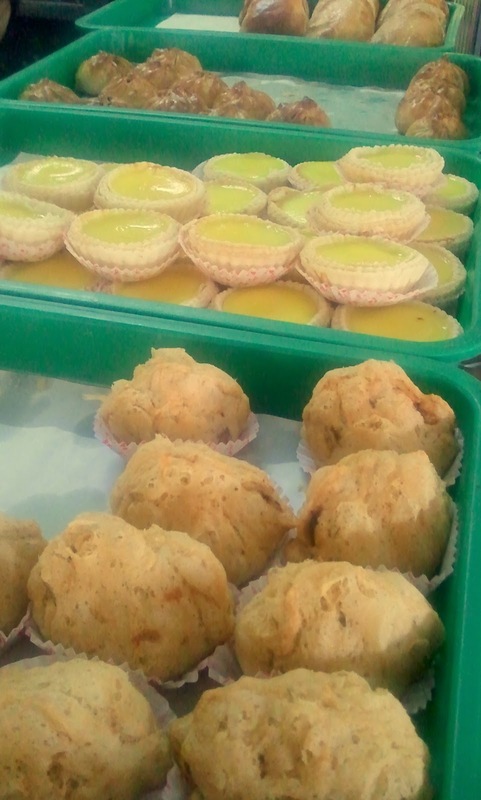 Pastries section...seen here are wu kok/ Chinese yam with meat fillings), egg tarts and siew pau. Above average pastries and I'd suggest you to eat at all the famous dim sum restaurant in Ipoh instead. Rating 8.5/10. Best dry curry noodle that I'd tasted so far but if you're not used to the intensity, suggest you to try the normal curry noodle instead. Again, don't forget to ask them to minimize the amount of oil! nice foods. there is a TEA STALL at buntong. they are selling various coffee and tea made with pure cow milk. very tasty!!! try it!! You got nice foods you want to share? Email to me at barney88@hotmail.com. Nasi Lemak LIVERPOOL @ Batu Lanchang, Penang!!! Another BEST! Wai Kee Char Siew, Lebuh Chulia, Georgetown: Best Char Siew In Penang? 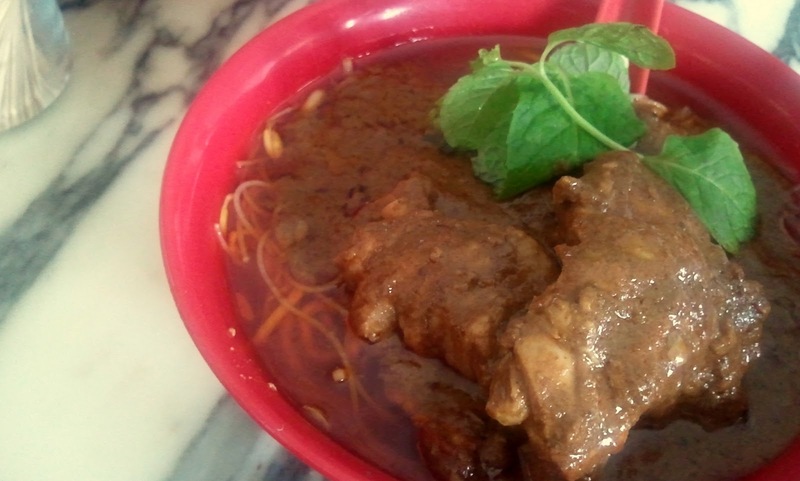 Top 10 Best Nasi Kandar Must Try in Penang!!! 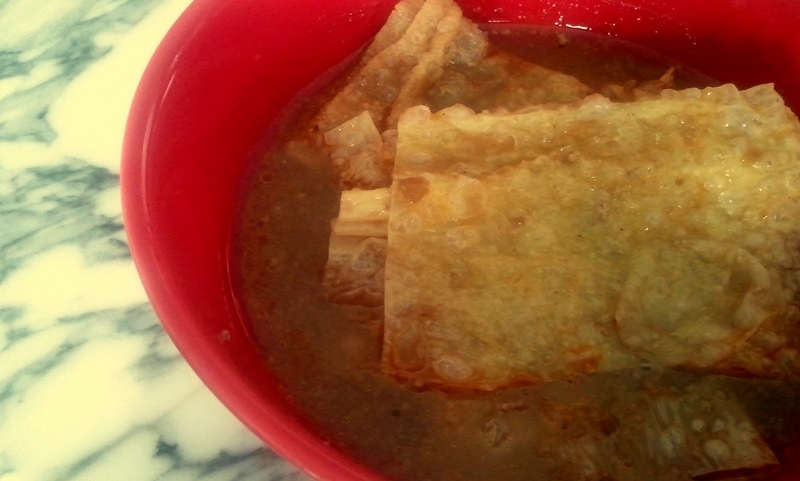 Kuah Campur & Banjir!!! 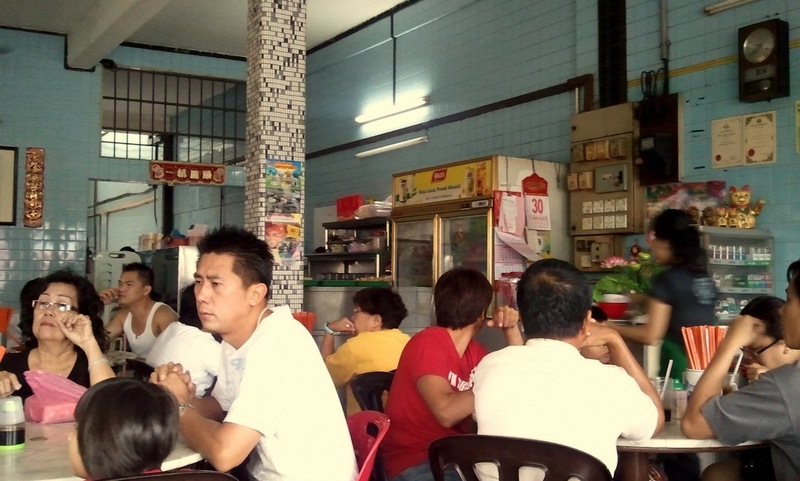 Famous Duck Rice On A Famous Road: Yat Seng Roast Duck Rice @ Georgetown, Penang. 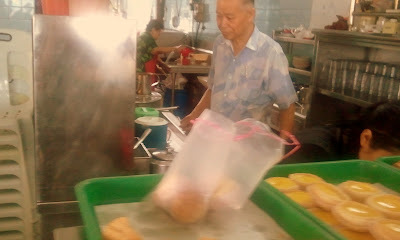 Continental Bakery @ Jalan Nagor, Georgetown, Penang: Best And Healthy Buns Can Be Found Here! Duty Free Zone @ Bukit Kayu Hitam, Perlis: Chocolate Shopping Spree!!! Jenni Homemade Cakes & Bakery @ Jalan Cantonment, Georgetown, Penang: Best Cheese Cake In Penang! Breakfast @ Antipodean Cafe, Bangsar, KL: Good At Overpricing Foods, Best For Nothing! All You Can Eat Durians @ DurianSS2, PJ: Buffet Starting At RM9!!! Waka Japanese Restaurant @ Bayview, Penang: Most Disappointing Japanese Buffet! Visitors @ Tasty Or Not? Copyright protected under "Tasty Or Not?" blog for 2010, 2011, 2012, etc:). Ethereal theme. Powered by Blogger.